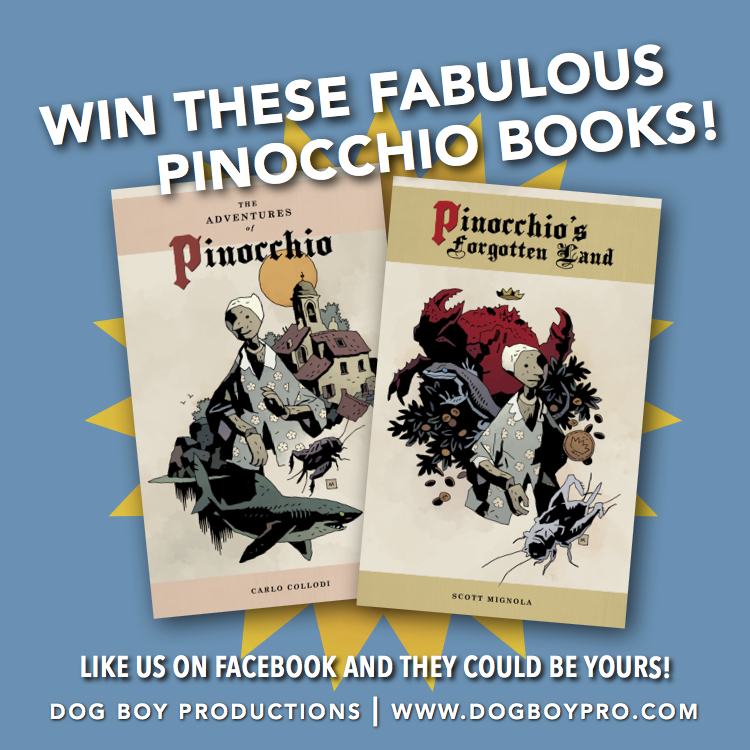 As a thank-you for your support of our little publishing startup, we’re giving away one copy each of our first two e-books, Carlo Collodi’s The Adventures of Pinocchio (1883) and Scott Mignola‘s brand-new, never-before-published sequel, Pinocchio’s Forgotten Land. Read all about them HERE. How do you win? Be the 400th lucky person to Like our Facebook page and we’ll send you voucher codes for free downloads from the iTunes Store. If you Like us already, thanks! Now be a pal and share this message with your friends so they’ll have a chance to win. And stay tuned; we’ll be announcing more giveaways soon.